In the early morning hours of Friday, March 2nd 2018, Engine 705, Ambulance 705, Ambulance 705B, Chief 705 and Chief 705B responded to the 9900 block of East Bexhill Drive in Kensington for the report a tree that had fallen on a house trapping the occupant inside. Units arrived to find a large tree had fallen causing severe damage to the home and the occupant was confirmed to be trapped in a bedroom under roofing materials. Crews quickly removed the trapped occupant from the home and then transported her to a local hospital. Read more here. 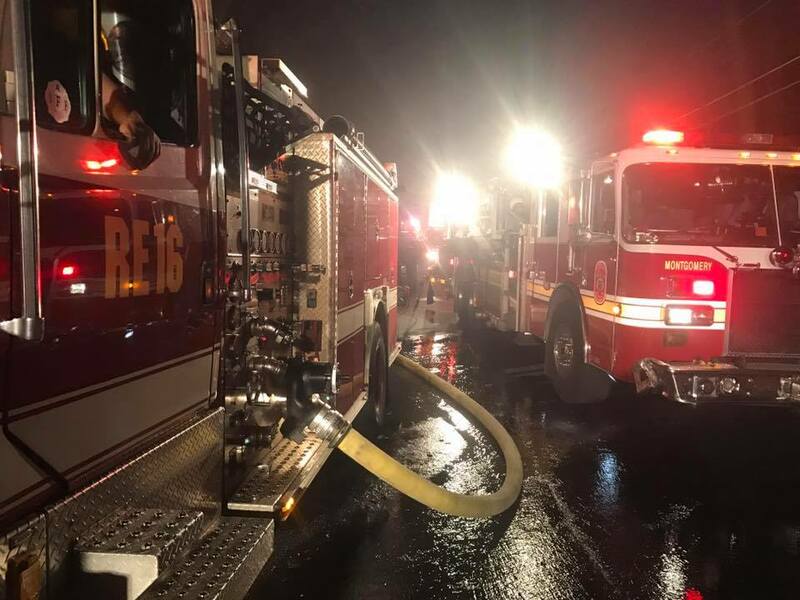 Units from Stations 5, 18, and 21 (along with other MCFRS units) were dispatched to the 11400 block of Mapleview Drive shortly after 1am on Sunday February 19th for a house fire. 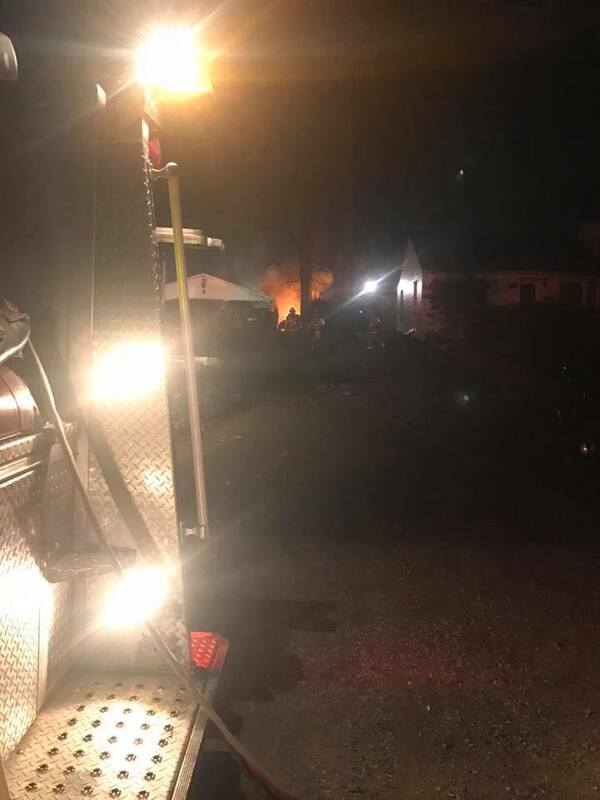 First arriving units encountered a large detached garage that was on fire and that had extended to a smaller shed. 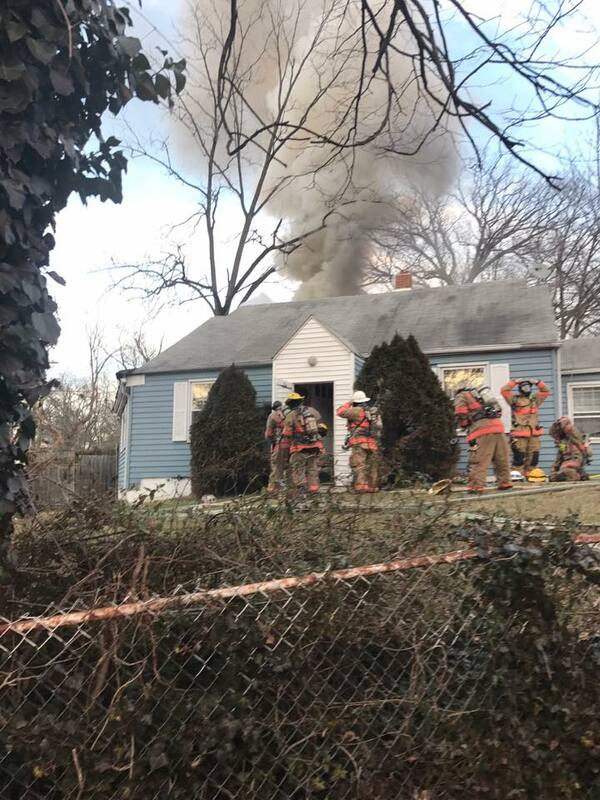 Units went to work to make a quick knock of the fire. C705C (Connell) arrived and was assigned as fire attack. 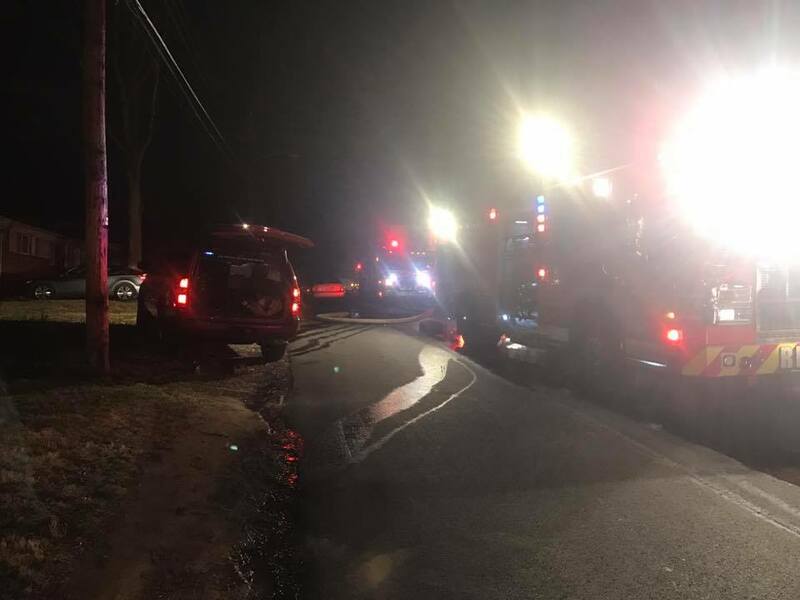 Units from Station 5 responded to Connecticut and Denfeld Avenues for a motor vehicle accident. 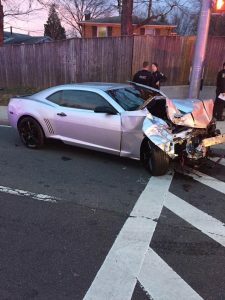 Upon arrival, they found a high speed collision with two people injured. Both patients have been transported to local hospitals with one having life threatening injuries. 4 February 2017 around 1500hrs, units from all four Kensington stations and surrounding companies were alerted for a House on fire in the Glenmont section of Wheaton on Urbana Dr. Units arrived within minutes finding a working fire on the second floor. 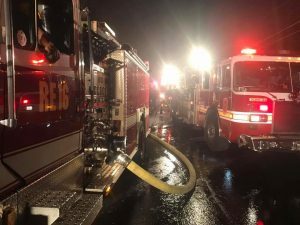 Chief 705D (Dowdy) arrived and assumed command of the incident, with assistance from Chief 705G (Dimopoulos) and Chief 705C (Connell). 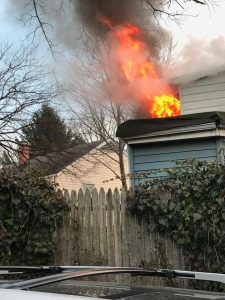 Units from Kensington quickly extinguished the fire on the 2nd floor with minimal extension to other parts of the house. 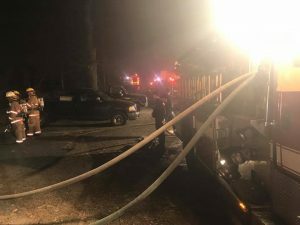 There were no fire department or civilian injuries reported. 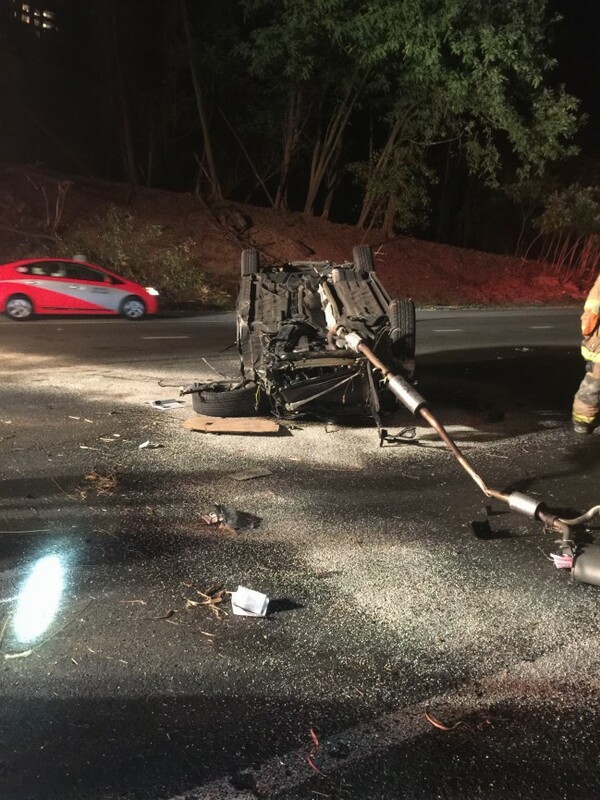 Wednesday, 26 October 2016 at 2100 hours, the Wednesday Night Volunteers on Engine 705 and units from Bethesda-Chevy Chase Rescue Squad, Inc., and Uniformed Services University of the Health Sciences were alerted for the collision with entrapment on the Outerloop of the Capital Beltway (I-495) in the area of Rockville Pike (Md. Route 355). Engine 705 arrived to find a two car collision involving a sedan and a tractor trailer with one patients. 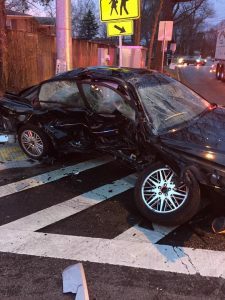 Investigation revealed that the sedan was traveling southbound on I-270 when it left the roadway, drove down a steep hillside, and collided with the tractor trailer traveling on the Beltway sending the sedan tumbling and spinning down the roadway ultimately ending upside down with the driver still inside. Crews treated and transported the driver of the sedan to a local trauma hospital.